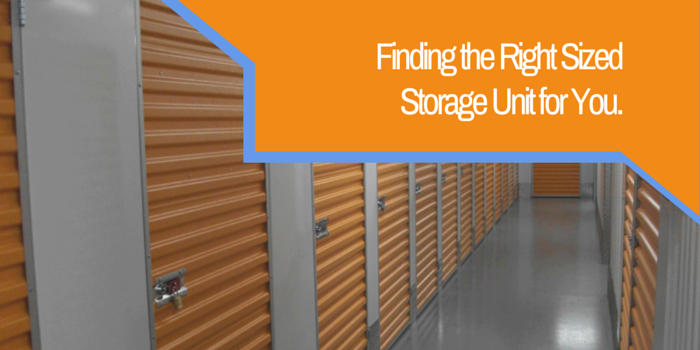 Finding the Right Sized Storage Unit for You. There are many and varied reasons why, at some point, you may need a storage unit. The most common reason is to store furniture and belongings when you are downsizing or selling the house, or you are renovating and need the space, or it is simply that your furnishings no longer complement a new decor. You may have treasured possessions that have been lovingly collected over many years and you can’t bear to throw them out. The growing phenomenon of online selling sees many people needing extra space for stock. And a sadder reason can be when a marriage breaks down and one partner needs to move their possessions before they have found a new place. Hobbies and interests too can mean a requirement for extra storage space, especially when that hobby comes with large pieces of equipment, like jet-skiing or car renovation. It is an unfortunate fact that with the ever increasing cost of land and development space, new-build houses are getting smaller and the outside space that comes with them is consequently getting smaller too. Some new gardens barely have room for a garden shed and attached garages soon get filled up with kitchen appliances and children’s toys. So if you can recognise your situation here then you may want to think about using a storage unit. It can be quite daunting figuring out what size unit you need. Storage units can range from a 10 square foot locker to a huge 500 square foot unit. A simple way to estimate how much space you need is to first make a list, or inventory, of the items you want to store and if possible, group together items of similar weight and size. Decide how you want to store the items; for example you may need regular access to certain things so these would need to be at the front. And consider how long you need to store items for. If some things are going to be stored for a short period of time and others for a longer time, it could be prudent to use units of different sizes. One of the best tools to use for finding out how much storage space you will need is a storage calculator.